Liability or warranty? An information provided by GGG. We're offering comprehensive premium warranties for up to 24 months from the date of purchase, giving peace of mind beyond legal liability requirements (for further information, albeit in German only, please click on the image to the right). 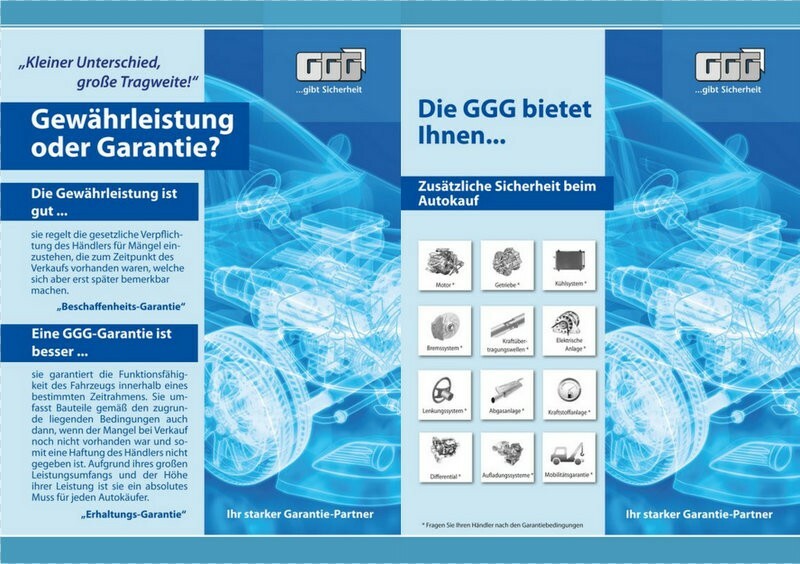 GGG-Kraftfahrzeug-Reparaturkosten-Versicherungs-AG (GGG) is our partner for these premium warranties. As one of the first insurance companies focusing on used car warranties in the German market, GGG provides a wealth of experience and enjoys an excellent reputation. If you're interested in our warranties, we'll happily offer you our personal, individual advice on the policies that would best complement your vehicle of choice.